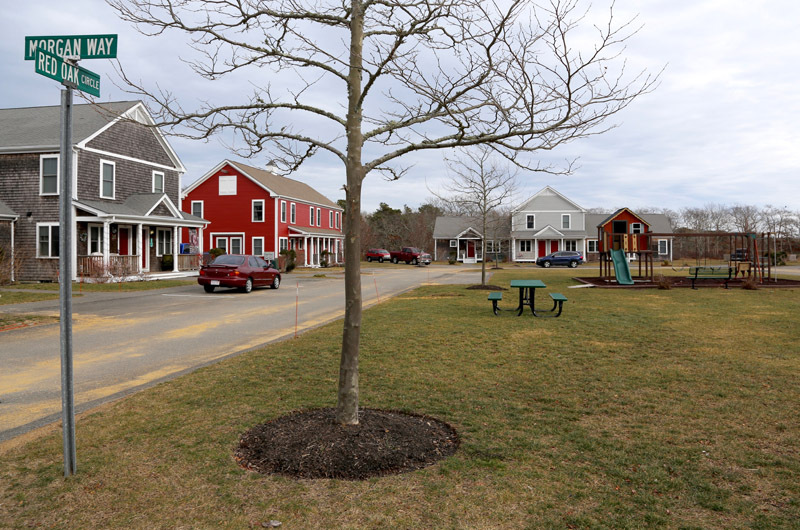 Morgan Woods, an affordable housing complex in Edgartown. Seventeen years ago, in the midst of a market upturn, and with high-end real estate sales stronger than ever, housing concerns for year-rounders reached a new height. A public symposium in the spring of 2000 aired many longstanding concerns surrounding the shortage of year-round housing on the Island and pointed to some key solutions. Town and state leaders, housing experts and residents packed into the Grange Hall in West Tisbury. Free child care during the event was offered at the West Tisbury Congregational Church across the way. Derrill Bazzy, a longtime housing advocate who now works for the nonprofit Island Housing Trust, said the gathering helped usher in a new era. “It was a watershed moment for housing on Martha’s Vineyard,” he recalled in a recent interview. 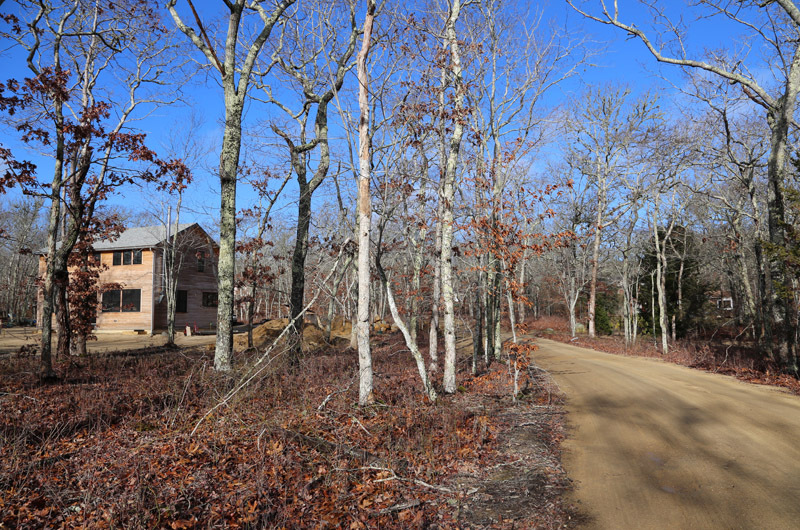 Several community groups formed in the following months, and in 2001, Aquinnah and Chilmark became the first Vineyard towns to adopt the state Community Preservation Act, spurred largely by its provision of funds for affordable housing. Edgartown, Oak Bluffs, Tisbury and West Tisbury followed suit in 2005. Many of the problems that took center stage in 2000 were nothing new for the Island, and all of them persist to some degree — including a pressing need for year-round rental housing, a top-heavy real estate market with home ownership mostly out of reach for year-round residents, and a continuing struggle to maintain an essential workforce. The all-Island planning board — which Mr. Bazzy said reflected a level of town commitment unheard of in 2000 — launched an initiative last year to produce state-certified housing production plans in every town and for the Island as a whole. A series of public workshops on housing issues wrapped up last fall, and draft reports are expected next week. Meanwhile, conversations in town halls, on the street and online often turn to the issue of housing, with many, if not most, recognizing a need for more year-round rentals for low and moderate-income residents. As in many communities across the country, however, even those who support the idea of affordable housing may find themselves battling such projects in their own neighborhoods. But some advocates see opposition fading as economic cycles continue and more housing developments become part of the community. At least three official studies since 2000, and the Martha’s Vineyard Commission’s 2009 Island Plan, have shed light on the Island’s perpetual housing problem. In addition, a 2001 report by Development Cycles in Amherst included a major survey highlighting an Islandwide consensus in tackling the problem, and more recent efforts have also touched on the issue of public opinion. In a survey of 521 residents conducted by the Vineyard Gazette and the market research firm Harris Interactive in 2013, coastal erosion, housing cost and pond pollution topped a list of Island concerns. Two years later, a smaller survey for the Martha’s Vineyard Transportation Plan placed housing third on a list of 10 priorities, behind transportation and coastal ponds. Interestingly, preserving the Vineyard character topped a list of seven priorities for the MVC in the Gazette-Harris poll, with housing second to last, ahead of data collection. Some point to a shift in public perception surrounding affordable developments since the 1970s, when people with moderate incomes could still afford to buy land and build a house on the Vineyard. But even in 1973, on the heels of a housing survey by the Dukes County Planning and Economic Development Commission, the Gazette was reporting a “historical paradox,” with hundreds of houses vacant for much of the year and hundreds of Island families unable to find homes they could afford. John Abrams, co-founder of the South Mountain Company, which built some of the first income-restricted housing on the Island, including at Sepiessa Point in West Tisbury in the 1990s, said it took decades for Islanders (and banks) to fully accept the idea of perpetual deed restrictions to keep houses affordable. People called the idea un-American, he said, but with 10-year restrictions on youth lots expiring, and with continued growth in the high-end real estate market, many skeptics eventually came to embrace the concept. Others have also observed a shift, perhaps especially as the problem extends to employers who struggle to find year-round workers to staff their businesses. 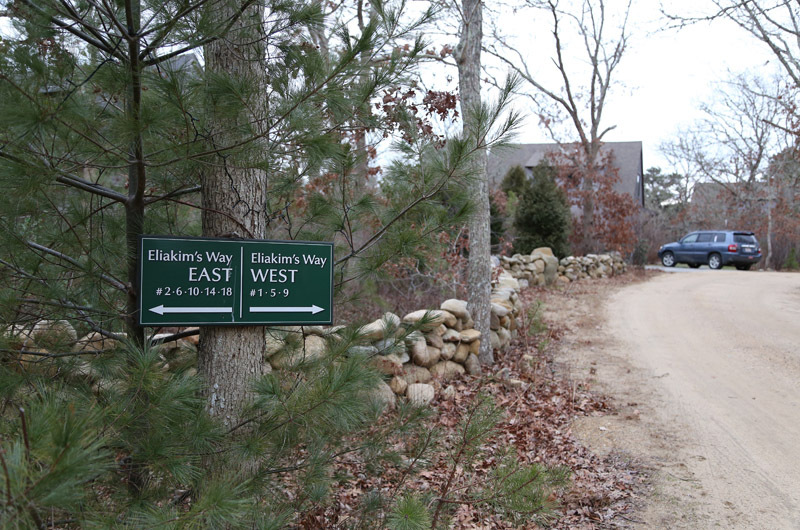 Larry Shubert, an Island carpenter and chairman of the West Tisbury affordable housing committee, drew a connection between declining affordability and the summer vacations of President Bill Clinton and his family in the 1990s, which shined a national spotlight on the Island and indirectly boosted the seasonal real estate market. He said the days of $1,500 monthly mortgage payments for a house on the Vineyard were over, but that misperceptions surrounding the need for year-round housing remain. Some residents see affordable housing as simply a matter of circumstance. Mr. Shubert recalled conversations with middle-aged homeowners who purchased land years ago at an affordable price and simply adopted the lifestyles their salaries would allow. Painted plywood floors and basic furnishings are enough for some to live comfortably. “People say, ‘That’s my affordable housing. I live in it every day,’” Mr. Shubert said. Some recent developments have come with a price that some many consider less than affordable. 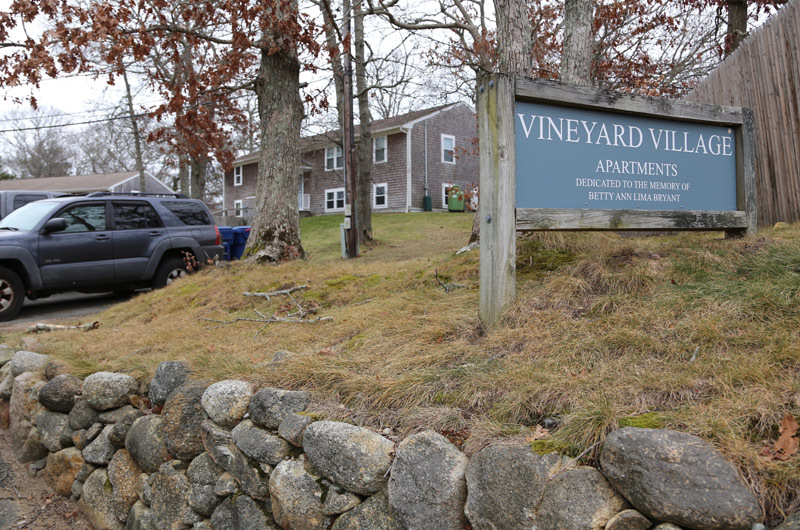 The Island Housing Trust’s six-unit apartment building on Water street in Vineyard Haven, completed last year, cost about $1.4 million, but a proposed 22-unit development at Kuehn’s Way in Tisbury is expected to cost about $6.3 million. Mr. Bazzy said higher up-front costs are necessary for meeting longer-term affordability goals, making buildings more efficient and durable. He also said high-quality buildings are more likely to attract funding and less likely to attract opposition from neighbors. Most housing projects billed as affordable on the Island have faced at least some level of resistance, almost always from abutters. It’s a similar story around the country, where neighbors often equate such developments with undesirable tenants, environmental problems and declining property values. But experts and advocates say people’s fears about affordable housing rarely come to pass. J. Rosie Tighe, an assistant professor at the Maxine Goodman Levin College of Urban Design in Ohio, who has lived on the Cape, said that despite people’s fears, affordable housing is unlikely to bring down property values in a neighborhood. “Overall, what we see is that if it is designed well and fits within the community as a whole, if it’s not super divergent from the building types, it actually increases property values,” she said. “At the very worst, it keeps them static.” Once a property is developed, she added, neighbors tend not to think about it, and may even come to appreciate the change. “It is common that the fear is greater than the reality,” she said. Such projects on the Island rarely, if ever, generate the type of widespread resistance that occasionally faces projects seen as conflicting with the Island character. But housing projects have seen their fair share of setbacks resulting from neighborhood opposition. 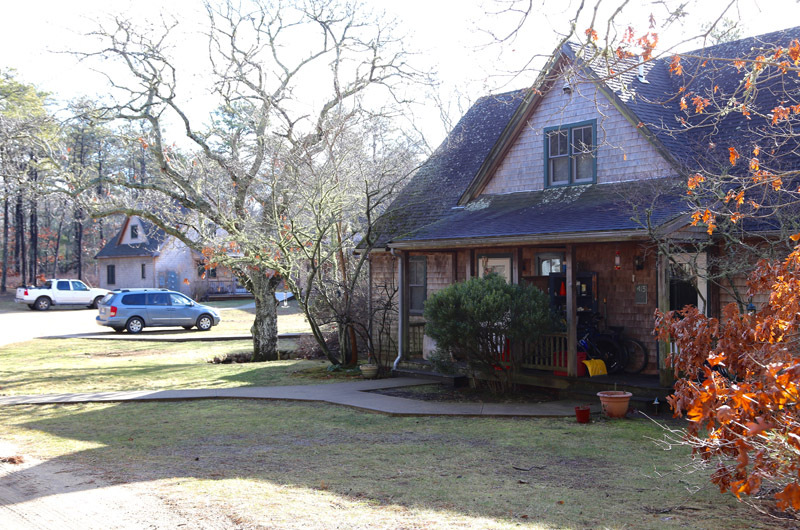 A 10-unit development on Jenney Lane in Edgartown saw fierce opposition from neighbors who unsuccessfully appealed the project’s approvals by the MVC and town planning board in the early 2000s. 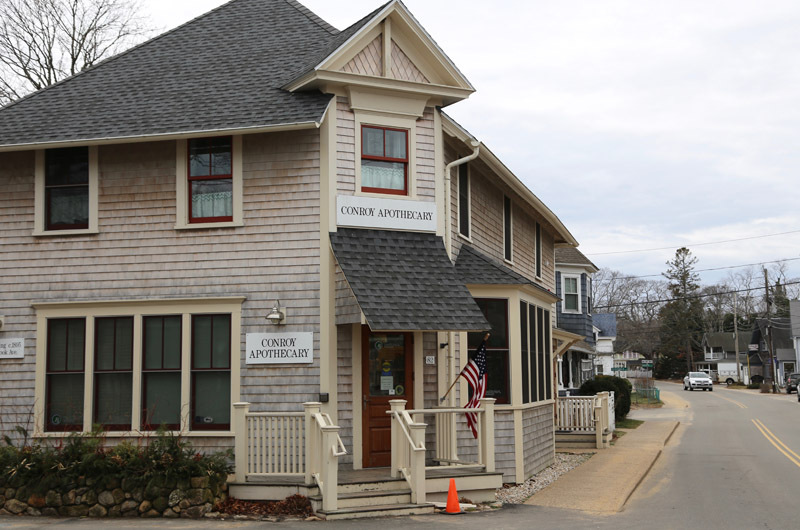 And the Kuehn’s Way project in Vineyard Haven was recently appealed by abutters. Ironically, both projects were initiated by landowners who wanted affordable housing on their land. On the subject of Island character, Mr. Bazzy sees the Island characters themselves as more important than even the rural landscape. He said preserving the year-round community depends in large part on adequate housing, but that keeping up with market forces over time may require some reshuffling of priorities. Among other things, he cited a need for larger apartment buildings that can benefit from efficiencies of scale, but he acknowledged that many Islanders would prefer smaller — and ultimately more expensive — developments. Historically, at least, Islanders appear to be more accepting of land conservation than affordable housing, with more than 40 per cent of the Island now protected from development. As one indicator, sixty per cent of respondents to the 2013 Gazette-Harris survey said they had a great deal of confidence in conservation and environmental groups on the Island, while only 21 per cent said they felt the same way about groups dealing with affordable housing. As Mr. Bazzy points out, conservation land tends to have a much clearer future, compared to housing with its unknown tenants and other factors. Thanks for this reminder. It is almost time to get out the classic DVD for Feb. 2. ("Put your little hand in mine" and "Don't drive mad!" etc.) Do you think we could get Bill Murray to one of the endless housing forums/discussions? You are right on target. With the inflated wages paid here for unskilled workers, that boat would be full. Nobody has a right to live where they work. People off-island commute HOURS each way to work (such as PA-NYC) in order to get the big bucks. How come nobody mentions a 'trailer park'. Or is that too snobby for the island? I find Mr. Bazzy's comments confusing.. Is he implying that the WaterSt project that was a modular buildout & fairly quick & efficient is less attractive /desirable that the Kuehn's Way building plan which justifies the higher upfront costs necessary to make it more attractive?? Why not consider a Modular buildout for Kuehn's Way?? It would be a lot less expensive aka affordable & reasonably fast to complete.. I do think you infer where Mr. Bazzi did not imply. Please allow me to clarify (I am an IHT Director). Every project is different, so development costs can easily vary. In the case of Water street the site was donated; IHT had to purchase the Kuehn's Way site. Water Street is a single structure on a small, clear site with 6 one-bedroom units; Kuehn's Way is wooded, the design consisting of 20 Units in 10 duplexes containing 1- 2- and 3-bedroom units. So site development and construction is more complex. In addition many of the neighbors' concerns were directly addressed to mitigate impacts to their existing properties. And modular construction IS being seriously considered, for the reasons you state. I would like to clarify one other point (made elsewhere) - IHT has been criticized for "overbuilding". But "Affordable" generally relates to the cost of occupancy, not the the cost of construction. It is certainly true that the construction is high-quality, though every effort is made to keep costs down. It has to be high-quality for 2 primary reasons: Renting (or buying) a home not only entails the monthly rent or mortgage cost, it also includes utilities. IHT works hard to keep those costs down so the units are truly affordable. Second, IHT is insuring perpetual affordability and is responsible for the lifetime of those structures; Higher quality lasts longer and costs less to maintain - in houses as with anything else. But if you walk through any IHT home, you will not see any "frills". You can build a modular structure, on a clear site, with electric and sewerage in place for less than $385 per square foot. Without affordable housing, more medical and mental health service, super market, gas station, teachers. and infrastructure employees salaries will continue to rise. Employers, i.e., towns, retail and wholesale business employees will only work if their salaries increase to cover commutation and travel time. Are you arguing to keep wages low for these workers? Why shouldn't employers pay a wage that will provide workers with the housing they need instead of hitting up the taxpayers to pay for this housing? Affordable housing policy has failed here for decades. It's time for people to come to terms with thier ability to live here. We have no obligation to provide housing for those who don't have the skills necessary to be able to afford to live here. Some people are hung up on providing houses yards etc but with limited space available we may need to tweak the space. Maybe several rooming units with (1/2 bath in unit) and shared kitchen, laundry and full bath could work. Granted it's not the condo/townhouse or SFD. You could tag on community service hours monthly as part of payment. Yard work, trash pick up or something. Forty-plus years ago my family owned a piece of land that we ultimately ended up selling, all but two three-quarter-acre lots that we set aside for our as-of-then two young children. It was my husband's idea - he was prescient, or at the very least, wise. He knew that the day would come when Islanders would be hard pressed to make a home here and he wanted our kids to have that option. Ironically, the land we sold would create homes for many families, but my childrens' lots would not be available for their use - and not because of of the zoning that changed in the neighborhood, which we were able to work around thanks to a gracious and kind zoning board of appeals, and many advocates, but because of a couple of neighbors who blocked us. Weird, huh?